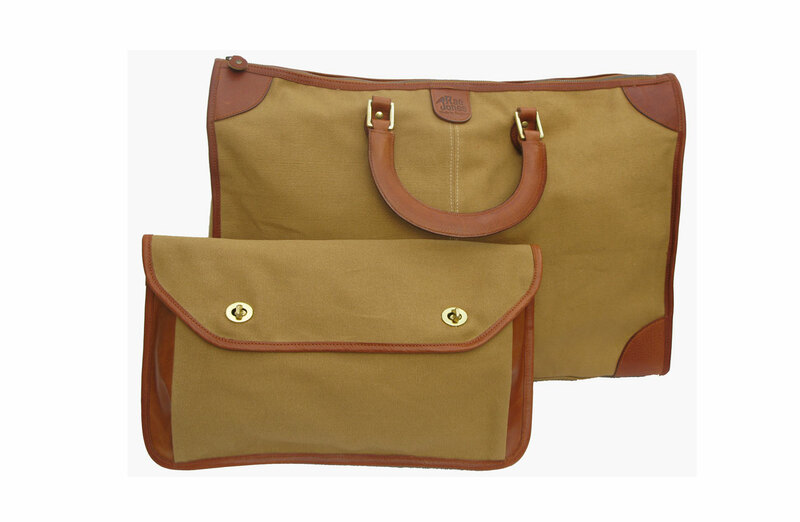 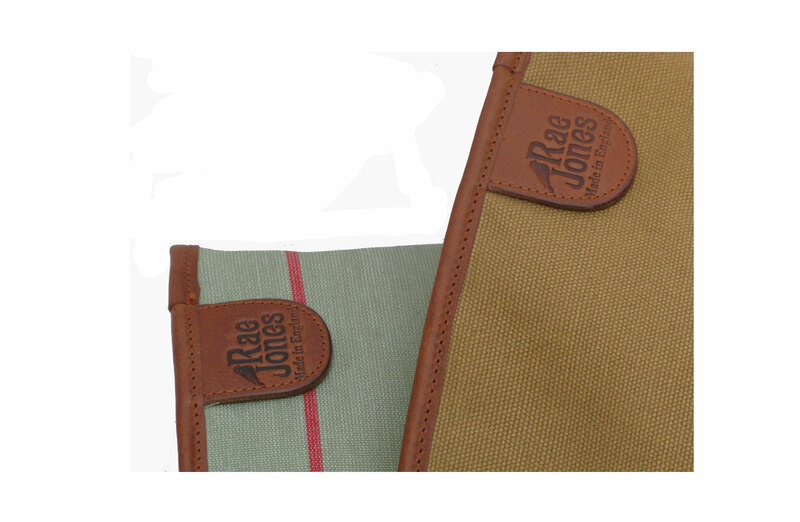 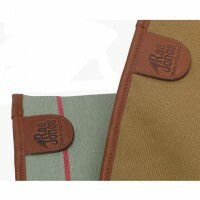 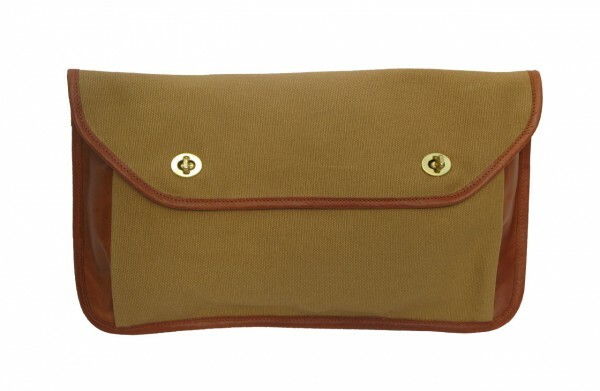 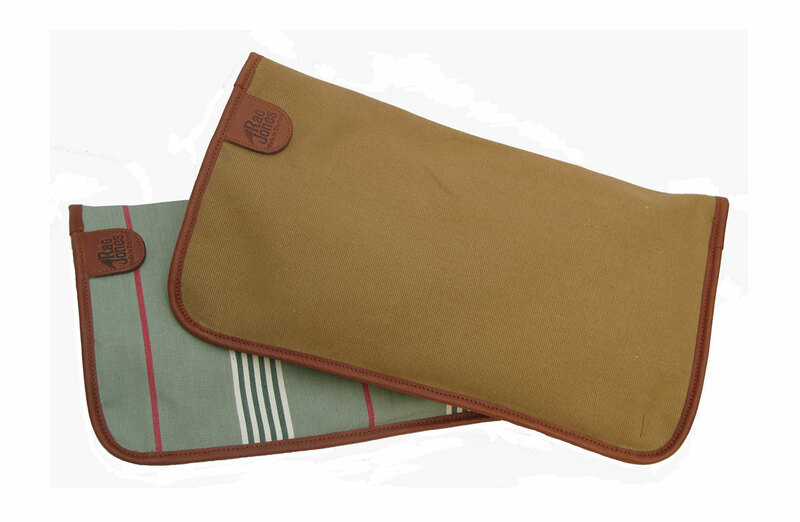 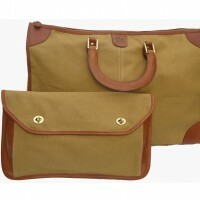 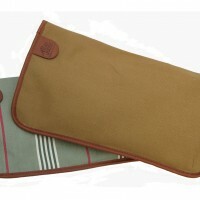 Khaki canvas clutch with tan leather trim and two gold metal turn-lock fastenings. 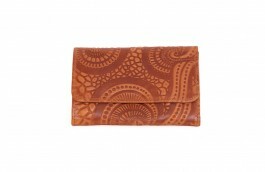 This clutch has an internal zip pocket and is fully lined. The lining is plain Maroon cotton, not spotted maroon as seen in one of the images. SKU: SKU0039. Categories: Accessories, Bags, Sale.